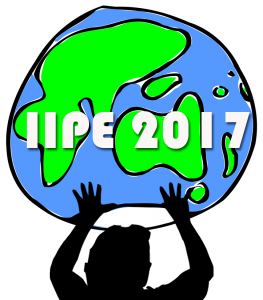 The application deadline for IIPE 2017 was May 15, 2017. We are no longer accepting applications at this time. Notices of acceptances will be sent in late May / early June. If you require an earlier response for funding or institutional purposes please contact the IIPE secretariat. Acceptance for participation in the IIPE is based upon applicant ’s potential contribution to the goal of developing and strengthening peace education in the host region and toward a more global perspective on peace education among all participants. While we would like to accept everyone who applies, the number of applicants usually exceeds the places at each Institute. The IIPE attempts to practice the principles of peace education by engaging all participants in our short term learning community in an experience of participatory learning in which all of us can learn from each other (please see our IIPE pedagogy page). We have found that increasing our numbers beyond 65 participants diminishes the effectiveness of this aspect of the institute, so we are unable to accept all applicants. Among other criteria, first priority is given to those applicants coming from the surrounding host region. The IIPE attempts to explore themes and issues that are particularly relevant to the host region and works to build regional solidarity among peace educators. Thus, a minimum of 50% of the participants will come from the host region. In selecting the remainder of the international participants we attempt to maintain a geographical balance and variety in experience and substantive expertise. All applicants should specifically demonstrate how they will apply their learnings in their countries or local communities as that will be a significant criteria of selection. As a learning community experience the IIPE requires full-time participation from all participants. You must be able to participate in the full period of the IIPE (August 27-September 2) for your application to be considered. If after acceptance a participant finds he or she must leave early or arrive late, their place will be given to another on the waiting list. *As our scholarship fund is limited, we are not accepting scholarship applications after May 1. If you think you will need assistance (full or partial) please also complete the additional scholarship application. PLEASE NOTE: you must first submit a general application before completing the scholarship request (see above). Each year the IIPE receives many more requests for scholarship than can possibly be given – thus it is unlikely that we can support all requests. Scholarships are allocated on the basis of follow-up plans to apply IIPE learnings to the applicant’s future work in peace education. Approximately 50% of scholarships will be given to regional participants, with the other 50% going to international participants. We provide both full and partial scholarships. **IIPE scholarships are for participation fees only (700 Euros for 2017). We do not provide any travel assistance. All participants must raise their own travel funds.